Relax in sumptuous comfort with our luxury Bachelli footstool. This footstool features pocket spring and foam wrapped base cushions, fibre filled back cushions and a serpentine (metal) sprung upholstered base. The back of the footstool behind the back cushions has elastic webbing for additional give and durability. 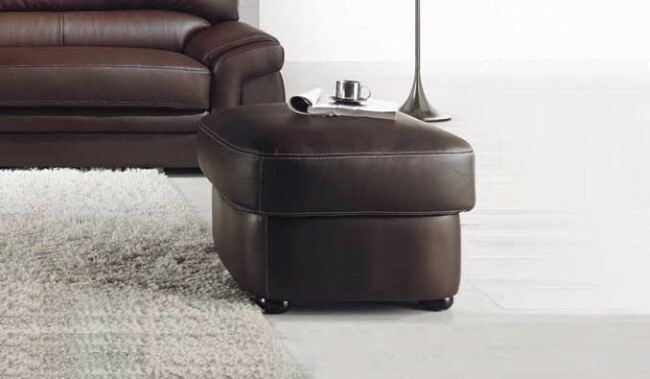 Pocket sprung footstool: Pocket springs can help to keep your footstool looking great. Every time you get up from a pocket sprung footstool all the springs expand. This helps to maintain the shape of the seat cushion. A footstool using quality pocket springs will last longer than a footstool using foam only.